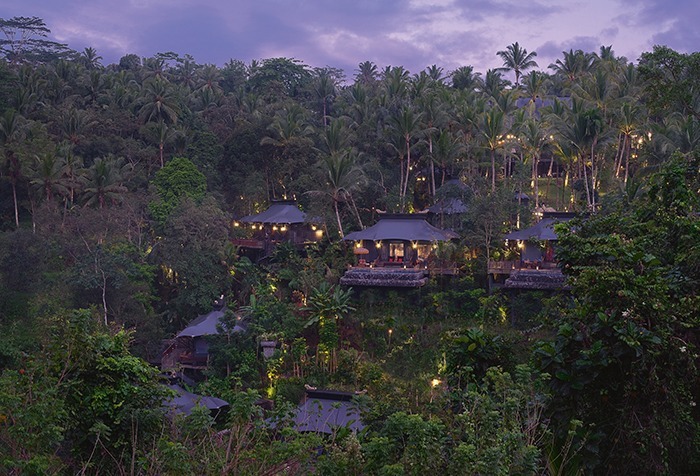 Brass monkeys play on tented roofs, the swimming pool is a giant cistern, and mealtimes tantamount to an eating-and-drinking museum experience – it can only be a Balinese camp dedicated to evoking 18th-century spice-trade adventures in Indonesia as conjured by the ever-inventive Bill Bensley. Humans are unique in that we explore for the sake of exploring – we’re the only creatures that travel, not simply in search of shelter or food, but to see, discover and taste new things. Alas, there are few corners of our planet that remain truly mysterious, so it’s a gift when a seemingly secret patch of a popular destination can still genuinely surprise. Take a bow, Capella Ubud. 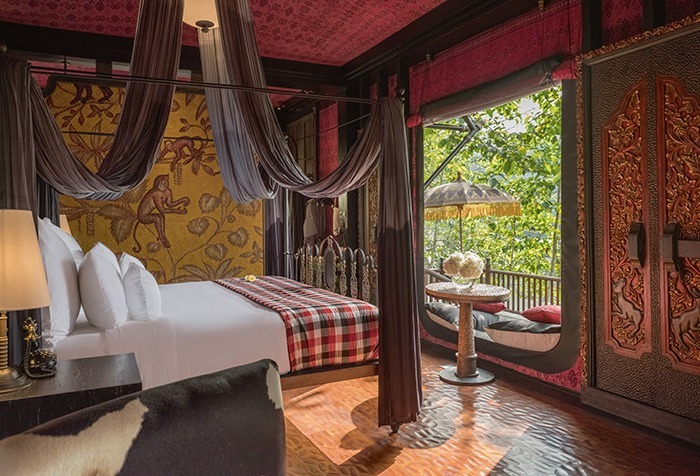 Designed by Bangkok-based Bill Bensley, this fantasy camp of 23 tented suites with big personalities brings to life 18th-century escapades. As their illustrated map of the 3.8 hectares shows, each of the one-bedroom tented retreats and the two-bedroom lodge are all cleverly perched on this seriously steep compound of riverside rainforest, all with private decks, many with saltwater pools. Cross the bouncy suspension bridges and step into the soaring canvas abodes – it’s a lesson in period-piece set-design, without being kitsch or ersatz. Huge beds piled with pillows of all sizes. A belted trunk opens to reveal a generous drinks cabinet with cut-glass crystal. There are bespoke pony-skinned armchairs and giant leather-trimmed wooden thrones for toilets (although outcries from hygiene-aholics mean they will reconfigure the seats using resin). Even those who baulk at the idea of a ‘themed’ look can’t fail to be charmed by the eccentricities at every turn. Colonialism is a sensitive subject – but Capella Ubud’s tales of the trails of bygone explorers make a fascinating history lesson – and theatrical storytelling of the spice trade through the East Indies is a touching one. In an era of Instagram and a lightning-fast dissemination of ideas, it’s a thrill to enjoy an environment that is genuinely original, borne from wild ideas and an obsessive attention to detail. Bill Bensley doesn’t do derivative. He doesn’t allow dumbing down. And in these risk-averse times when every decision is assessed on algorithms and ROI, this iconoclasm is particularly refreshing when under the banner of a respectable luxury hotel brand. 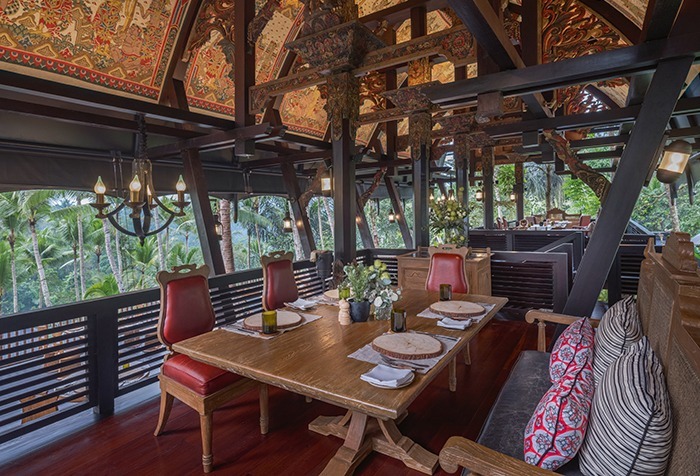 Bensley’s brazen approach to design is also incredibly sensitive – congratulations are due alone for Capella Ubud’s construction process, which saw no trees cut down for the camp’s creation. They often appear as part of the construction, and in many cases, what looks like a structural timber is, in fact, a living trunk. 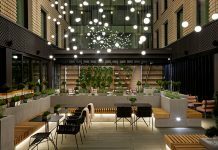 “The project began as a 120-room Accor hotel with a local architect, with us drawing the gardens and interiors,” Bensley explains, his energy and enthusiasm evident. A master of more-is-more, he is incredibly down-to-earth, believing in minimal intervention, particularly poignant somewhere such as Bali. 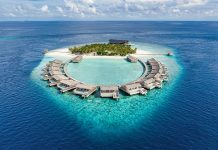 “When I first came here some 35 years ago, it was an untouched gem of exotic, exuberant nature, which coexisted beautifully with the local architecture. As the years have gone by and tourism and development have exploded, buildings that take no care to fit into the surroundings are the norm,” he laments. The local architect that had initially been engaged on the project had come up with a plan that would have, as Bensley puts it, obliterated the natural beauty of the site and generated an eyesore for the surrounding neighbourhood. While Bensley was grateful for the project, the brutal architecture was too much for the studio to support. “So we changed it bit by bit until the local architect threw up his hands and walked away, leaving us in charge to pursue something more environmentally suitable.” As a result, they scaled the brief down to 20 tents to keep the forest untouched, and instead built around the trees. “The result is tents appearing almost organically amid the terraced landscape and dense forest.” A dozen or so trees had to be moved – and unfortunately, since some of them were old, those ones didn’t survive, the owner tells me with rare transparency. The owner, Suwito Gunawan, is a steel magnate from Jakarta and this his first foray into hospitality. 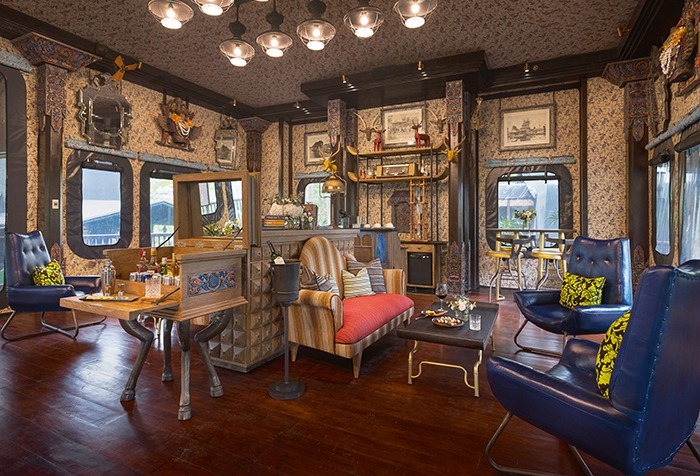 Speaking to this softly-spoken avid art collector in the camp’s main lounge, the Officer’s Tent, we’re surrounded by an unrivalled collection of curios. He explains that he and Bensley bonded while hunting together. Just as I choke on my Jamu cocktail at the thought of them killing critters for sport, he elaborates that this meant them going to many auctions in Holland and around Indonesia – he was referring to their passionate search for antiques. At this moment, Simone Broekhaar, one of the driving forces behind the launch of this extraordinary escape, takes down one of the 100-year-old books on display, explaining that every day the pages of them must be turned to keep them in decent nick. Little wonder this hotel has already been declared one of the world’s most exciting by Forbes. So why choose Capella Hotel Group to operate this property – which is more akin to a safari lodge in Africa than a south-east Asian hotel – when they have no background in tented camps or sustainability? 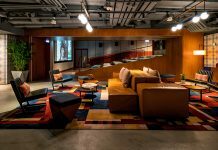 Gunawan explains modestly that as a newcomer to the industry, his thinking was simple; he believed Capella was the right boutique brand to nurture and manage the camp as they have a good understanding of the high-end niche market to which this property is suited. During the construction, the Singapore-based operators suggested they thought something urban might be a good direction. “But for us, the odder it was, the better – Bill is a mad genius. Just like me, he loves art and antiques – it was a wonderful collaboration,” says Gunawan. It’s usually the owner who has the out-of-control ego – and then if the designer has very different ideas, it’s an impossible union. However, the chemistry was great, and Bensley is a team player, as illustrated in the porch of the camp’s entrance, where tongue-in-cheek ‘hunted’ deer heads are labelled with the names of all those who helped in creating the camp. References are made throughout to Balinese traditions, such as in the black-and-white checked fabric, or saput poleng, which covers the daybeds, and striking handmade batiks and ikat textiles, all enhancing the distinct sense of place. The four-poster beds are custom-made Bensley creations with their engraved headboards and delightful sashes of fabric floating down from the tent-top. Unmistakeable treats for modern-day sybarites come in oversized pillows and cute little cushions so you can create your own feather-filled installation. “At home, I like lots and lots of pillows, and we always karate chop them in the middle to give them that bunny-ear look. I adore a pillowscape that screams ‘Come sleep with me, darling…’” continues Gunawan. And there’s no denying the successful come-hither effect – another touch that makes the term ‘glamping’ woefully inadequate for this camp deluxe. “At the studio, I school my architects in the understanding that a great hotel stems from having a great DNA,” picks up Bensley. “What we do is like movie-making: we create a narrative that engages and surprises the audience, which they can relate to and become a part of. It becomes easy to create a place that transports people into another time and place – and the story we’re telling really happened a couple of centuries ago.” One of the characters the team has profiled, who gives the main tented restaurant its name, is Mads Lange. “A Danish explorer nicknamed the White Rajah of Bali, he came to Bali around 1840 after a stint in Lombok, becoming a fantastically successful trader of coffee, rice, spices and suchlike,” the designer explains. Meanwhile, Api Jiwa is the robatayaki affair where the chef prepares next-level eight- to 10-course tasting menus. Tempting folks to plan repeat visits, each abode has its own distinct personality and paraphernalia, with cunningly clashing colour schemes and props riffing off different characters and their roles from those early-1800s explorations. Even prosaic items inspire smiles – such as the ‘survival kit’ backpacks with a plaster, mosquito spray and earplugs. The Captain’s Tent is an ode to the camp commander with a map evoking how they planned routes from coast to jungle and zoology, and botany is showcased in the Naturalist’s Tent. Not missing a chance to entertain, there’s a Toy Maker’s Tent, displaying drums, games and wooden playthings and a Puppet Master’s Tent extolling Indonesia’s dalang heritage of leather shadow puppets. Many tents also have private saltwater pools reached by spiral staircases, which jut out over the rainforest. The tribute to tactile authenticity extends to the cottons, linens, and semi-recycled papers in the collaterals – to paint the ceiling art in the restaurant in a Kamasan style, they even used local natural plant dyes. Every detail demonstrates this is a sanctuary of style and substance – as witty as the menu is in its descriptions, the back-of-house integrity deserves a doff of the cap, too. There, Executive Chef Matthew McCool’s F&B techniques honour age-old times. He uses a pestle and mortar, ice is hand crushed, there’s no plastic in sight, almost everything is biodegradable and many of the alcohols are house brewed and barrel aged.